In the late 1990s, Bahía experienced destruction from multiple natural disasters including earthquakes and effects of El Niño. Since then, various locally led coalitions and student movements formed to help the local community began the reforestation of over 60,000 trees through ecological education programs to work towards becoming an “Eco-City”. Along with reforestation, these movements worked in solidarity with the community to encourage climate justice education for younger generations and implement school district wide recycling and composting. In April 2016, a massive 7.8 magnitude earthquake as well as several extreme aftershocks placed Ecuador in a national state of emergency with thousands of fatalities and even more injured and without access to clean food, water, and shelter. In light of these events, public discourse in coastal Ecuador is calling for rebuilding with seismically safe buildings from natural materials, while continuing to protect the endemic flora and fauna of Ecuador’s tropical dry forest. Bahia Beach Construction (BBC) was a construction movement formed as a branch of RFI to help meet these needs in our community, as well as provide a model for ecologically, socially and economically sustainable housing development with an emphasis on seismic stability. We believe that social and environmental enterprises are the way to achieve long-term sustainable development. By establishing mission-driven companies that value integrity over profit, we can institutionalize environmental and social regeneration within our communities while ensuring consistent sources of revenue to fuel our work. Our vision is to streamline bamboo production, processing, distribution, and construction to make sustainable building an accessible option in coastal communities and generate local jobs. In every step our team makes for the company, we strive to keep three core objectives at the forefront of our decision-making processes, creating our People, Planet, Profit inspired mission. 1. To donate beautiful, economically viable, and seismically safe houses to families in the most vulnerable and low-income areas with the most limited access to resources. 2. To demonstrate and promote ecologically regenerative architecture with local, sustainably sourced bamboo. 3. 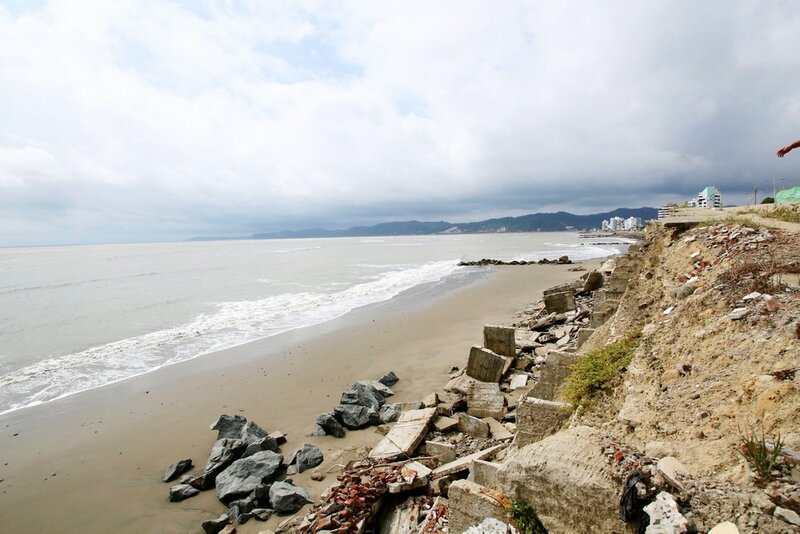 To train builders and create local jobs to make green building a stable and viable industry for rebuilding the local economy in Manabí, Ecuador post earthquake. In November of 2017, RFI partnered with Los Arboleros Farm, a 71.5 acre organic tropical farm in the rural agrarian community of Chone. Los Arboleros Farm is not only a site where we can now model bamboo plantation management, bamboo curing and processing, and provide other resources to people wanting to enter the bamboo industry, but serve as a demonstration for other organic regenerative agricultural practices like compost making, crop rotation, agroecology, topsoil conservation, and watershed management. Students participating in our courses will get a chance to walk through bamboo forests, work in diverse agricultural operations, see stunning jungle flora and fauna, and be able to explore larger scale landscape architecture concepts.